LOOK AT ME NOW! 2019 workshops. 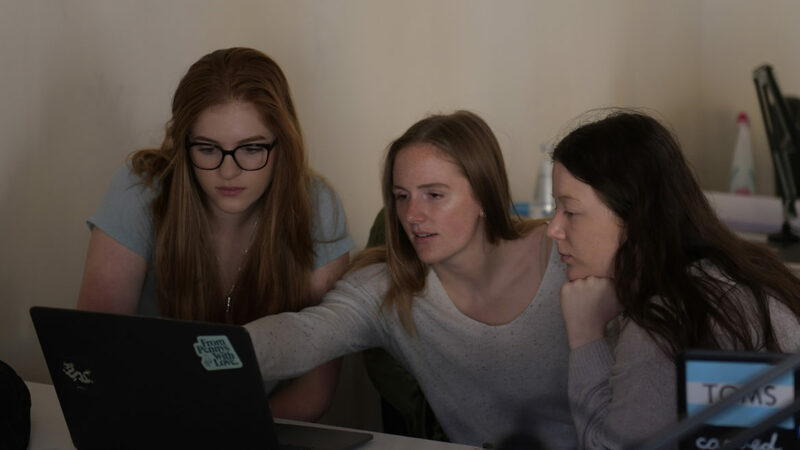 The week after midterm reviews (March 18 – 21, 2019), students enrolled in the Architecture and in the Interior Design programs at Kent State University in Florence attended the fifth edition of the LOOK AT ME NOW! workshop. Instructors were two architects, photographers and video makers who are especially talented in portraying contemporary architecture in photography and in video and who have extensive experience running workshops: Anna Positano and Davide Rapp. The Photography workshop was run by Italian architect and photographer Anna Positano (http://theredbird.org). Anna is a photographer and an artist, with a background in architecture. She graduated in Architecture at the University of Genoa, then obtained her MA in Photography at the London College of Communication. Her work encompasses the reciprocal influence between landscape and society and explores everyday places. Her projects have been exhibited internationally, in art galleries and public institutions, such as La Triennale in Milan, the Venice Architecture Biennale, Cornell University, and Villa Croce Museum of Contemporary Art in Genoa. She works on commission for architects and public institutions. Her work is regularly published in international architectural magazines. The Video workshop was run by Italian architect and video author Davide Rapp (https://vimeo.com/daviderapp/videos). Davide holds a Ph.D. in Interior Design from the Politecnico di Milan. He collaborated for 5 years, between 2008 and 2013, with architect Stefano Boeri on urban, architectural and interior design projects including – among others – “Sustainable Dystopias”: a research project that explores different ideas surrounding the reconciliation between cities and nature, exhibited at the Venice Architecture Biennale in 2008. participated in the 14th International Architecture Exhibition – Fundamentals (Biennale Venezia, 2014) with ‘Elements’, a movie montage of short architecture-related clips, conceived specifically for the introduction room of the exhibition ‘Elements of Architecture’, curated by Rem Koolhaas, the Office for Metropolitan Architecture and the Harvard Graduate School of Design. He has been published in national and international architecture magazines such as Abitare, Icon Design, and The Architectural Review. He is co-author (with Alberto Iacovoni, Rome) of the graphic novel / architecture essay Playscape (Edizioni Libria, 2009), exploring the public space as an exciting and promising testing ground of possibilities. On Thursday March 21, 2019 the students made a final presentation of the works produced in the course of the workshop in the lecture hall at Palazzo Vettori. Paola Giaconia, professor and Kent State University Florence CAED coordinator, and Marco Brizzi, professor of the Video, Media and Architecture course, offered a critical commentary on the students’ works.